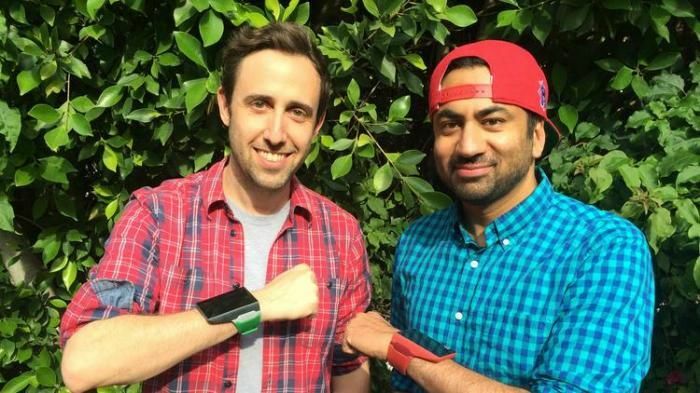 Back in 2014, an Indiegogo campaign was launched to raise funds for a device that promised to be more than a smartwatch. And looks like Rufus Labs, the company behind it, has met their target. Jennifer Jolly from USA Today got to test out the wearable device that features a massive 3.2-inch touchscreen, dwarfing the Apple Watch. Rufus Cuff, which is going to be launched soon, has made an impression like no other. As a smartwatch, its gigantic. But as a shrunken Android tablet, it seems to work. The question is; why would anyone wear a tablet? The only reason I can think of is to grab the attention of passersby as one walks down the street. The limitation here is that there is no SIM card. The device relies on Bluetooth/Wi-Fi to be connected. All voice and video calls have to be done over the internet. There is a front-facing camera to support video calls and is equipped with hands-free tech that is available in most devices these days. One positive point is that it functions as a fitness tracker too; it comes with GPS on-board, a gyroscope, a compass and an accelerometre. It may give you the impression that wearing it all day would give your arm some exercise but at only four ounces, it won't help you much in that department. As USA Today says, the reason it takes up so much space is for "battery life, processing power, and added antennae strength." It's intended as an "everything-else killer." Gabe Grifoni, Rufus Labs' CEO and co-founder said that, "this will replace the need for smartphones, wallets, watches, fitness trackers, everything." It's based on the argument that young adults of today want everything to be on their wrist and stay updated at lightning speeds. More than 2,500 people have pre-ordered the Rufus Cuff. The device will start shipping in early 2016 and will cost anywhere between $249 to $399. The main limitation is that unless your wrist is the size of hulk, holding and wearing this device will become more of a chore than a pleasure in day-to-day life. Even Kal Penn endorses it!